Two men were found dead in the courtyard of a Paris apartment building Friday, their throats slit. French police have launched an investigation into the slayings and have arrested one individual in connection with the killings. According to reports, the two dead men are the father and brother to the arrested man, who it is reported by best-selling newspaper Le Figaro was heard to shout “Allahu Akbar”, and was wearing traditional North African dress at the time of the deaths. A witness to the attack told Agence France Presse that he was at home when he heard “a man screaming for help”, which prompted him to look into the courtyard of his apartment building. 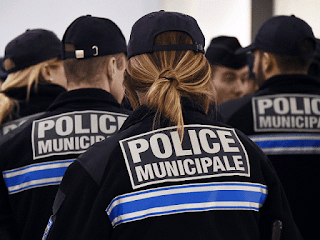 Le Parisien reports the arrested suspect has not been taken to a police station but was instead transferred to a psychiatric ward, as he was found “unfit for custody”. French police criminal investigation teams set up a cordon around the crime scene and inquiries into the motivation for the crime are ongoing.